The best substitute for mother’s milk. 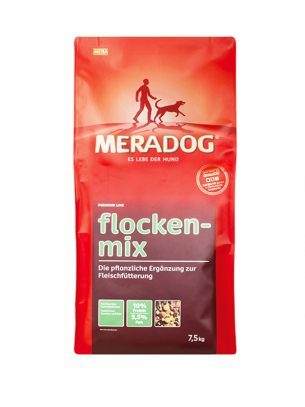 Ideal as a supplement for puppies during the suckling period. 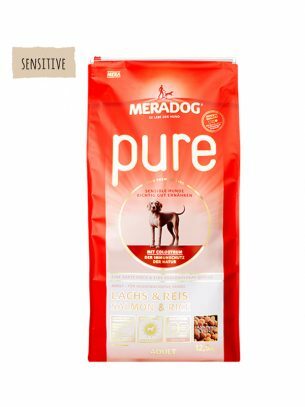 With colostrum – provides puppies with highly effective active ingredients for activating the immune system. 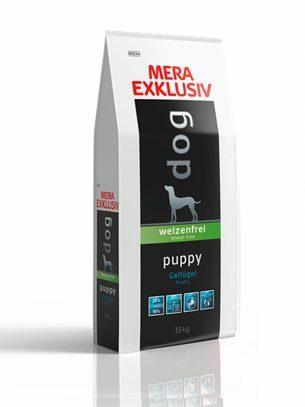 The high vitamin and trace element content rounds off the well-balanced supply of nutrients in the puppy milk. 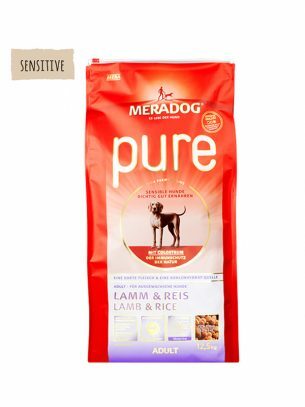 Stir Meradog puppy milk vigorously in hot water ( 55°C) and whisk until it is free of lumps. Allow the milk to cool down, feed at body temperature. based on volume: 1 part (cup, measuring beaker, etc.) milk powder to 1,5 parts water. based on weight:For every 10 g milk powder add 32 ml water. (Example: 100 g milk powder plus 320 ml water gives approx. 400 ml of prepared milk). The daily amount should be divided into 8-10 portions during the first week and later reduced to 4 feedings per day. 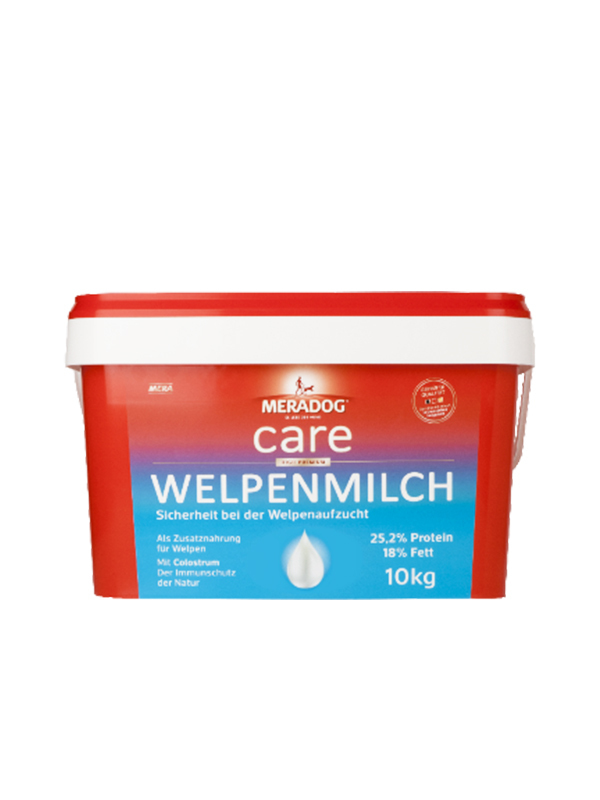 We recommend to start feeding MERADOG care JUNIOR 1 or MERADOG pure junior subsequent to Meradog puppy milk. The junior dry food has to be moistened with warm water, chopped and fed as a mash in the beginning.